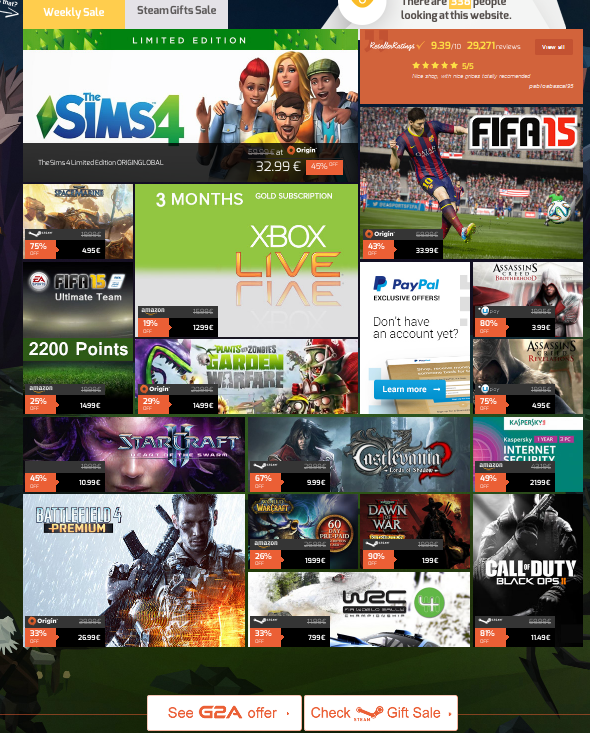 Pre-order Middle-earth: Shadow of Mordor, Stronghold Crusader 2, FIFA 15 or buy the huge number of games with discounts! The weeeknd is almost here, and you still don’t know which games you’d like to play? It’s not a problem anymore, because traditionally each Friday we tell you about the weekly G2A.com sale, on which you can buy lots of really cool and different games with unbelievable reductions - up to 90%! Only this weekend, you can pre-order Middle-earth: Shadow of Mordor, FIFA 15 and Stronghold Crusader 2 with really nice discounts. Thus, you can become the owner of FIFA 15 - the game, which will be released less than in a week, - having paid just €33,99. Or, if you like really exciting and unforgetable adventures, you can pre-order Middle-earth: Shadow of Mordor only for €26,99. And even in case you like strategies, the employees of G2A have something to offer you - the upcoming Stronghold Crusader 2 game, which costs €24,99. 15) Kaspersky Internet Security 2014 - 3 PC - 12 MONTHS CD-KEY (GLOBAL) - €21,99. 13) Call of Duty: Ghosts - Gold Edition STEAM CD-KEY (GLOBAL) – €19,99. This weekly sale started at 15:00 GMT and will end on Monday - on the 22nd of September - at the same time. 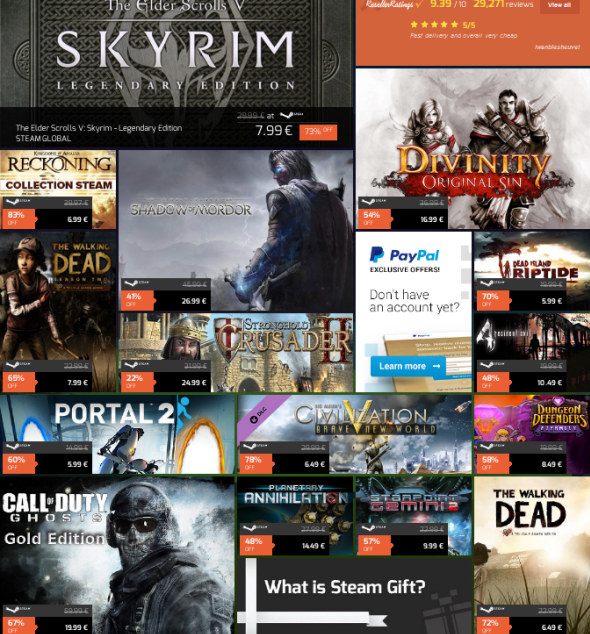 Don’t miss an exceptional chance and purchase cool and interesting games with discounts right now!